Shocks and surprises await Naoto, Marie and the rest of the gang when they find their way to Shangri La Grid, crime capital of the world. The team’s stuck together through thick and thin, but how will they cope with the discovery of a traitor in their midst? And as if being betrayed by one of their own wasn’t bad enough… is that another Initial-Y automaton in front of them?! 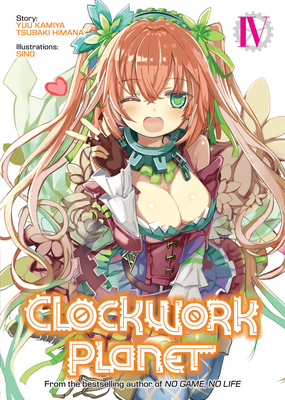 Tsubaki Himana is a Japanese author best known for Clockwork Planet. Shino is a Japanese manga artist best known for the illustrations in the Clockwork Planet light novel, and as a contributor to a variety of anthology series.